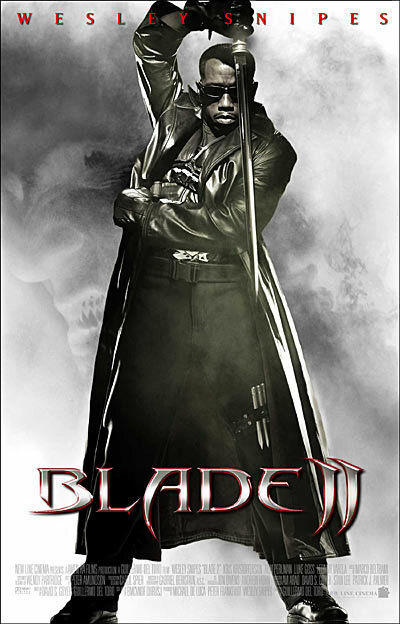 Based upon: This will be the second film based upon the vampire-hunting character first seen in comic books published by Marvel Comics, following 1998's Blade. 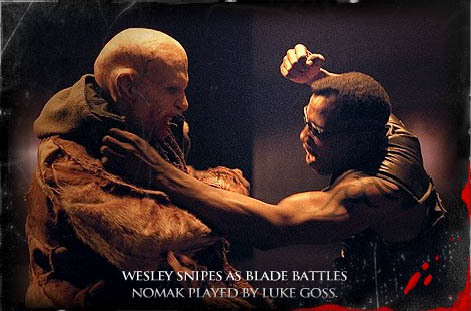 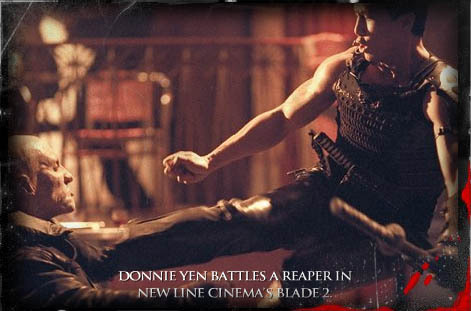 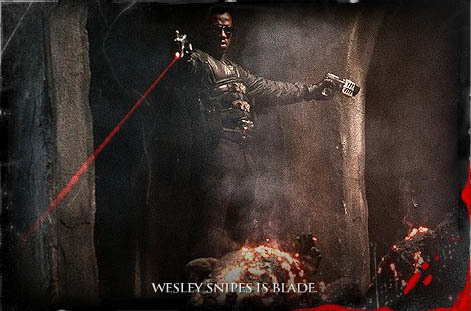 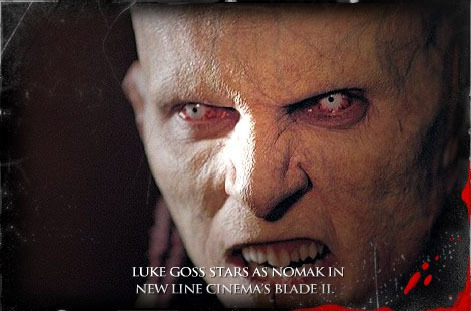 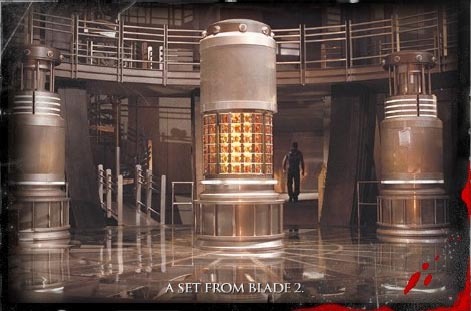 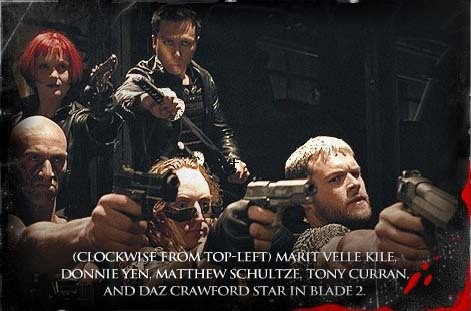 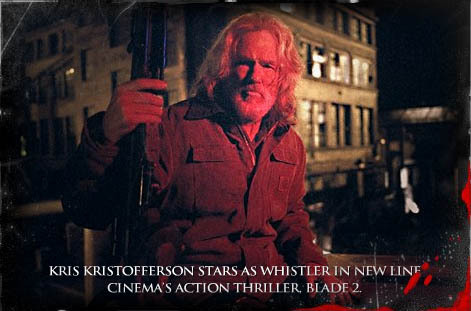 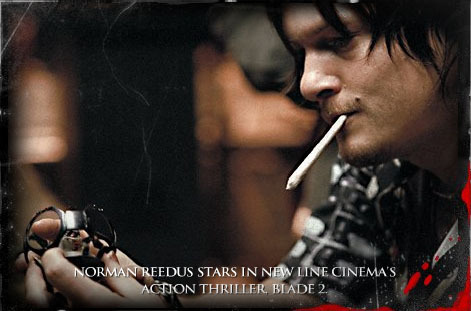 The saga will continue in Blade 3, directed by Goyer (though there's no word about when that might start filming). 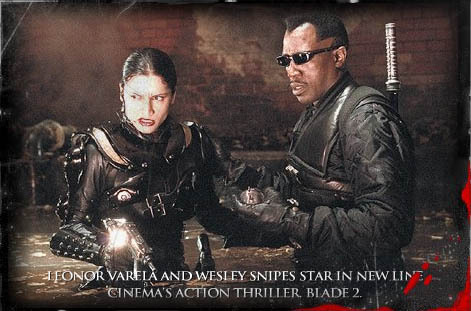 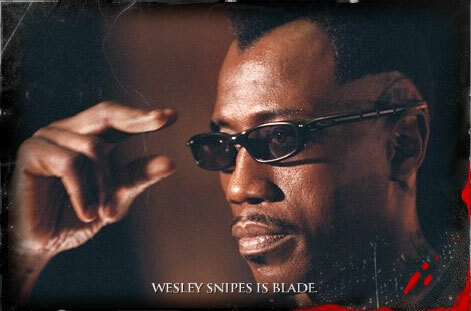 (3/8/02) Snipes told Cinescape this week that he expects to film either Blade 3 or Black Panther in 2003 (with the other film following possibly in 2003 or so). 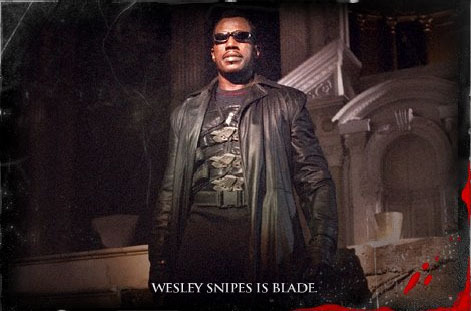 Someone as submitted their own super-hero, the person contacted me and notified me that the super-hero is on the way. 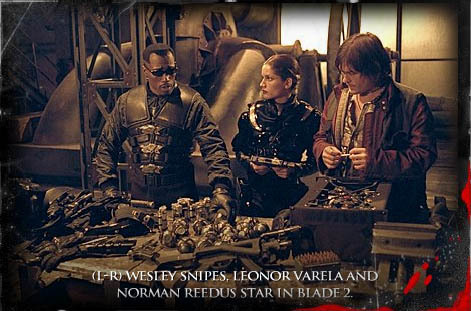 He left me one clue, and that is that the name of the super-hero is "SKYE"